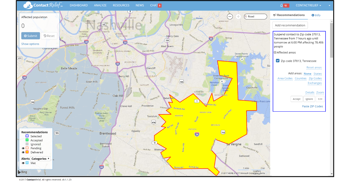 A masked gunman killed 1 and injured 7 in a mass shooting at a church near Anitoch, Tennessee. 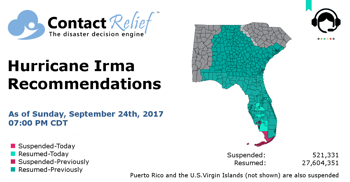 ContactRelief recommends resuming contact with additional Florida counties except specified zip codes. 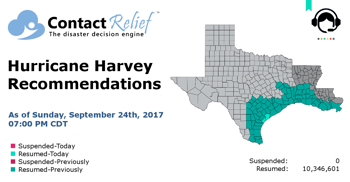 ContactRelief is recommending resumption of contact with all Texas counties affected by Hurricane Harvey. 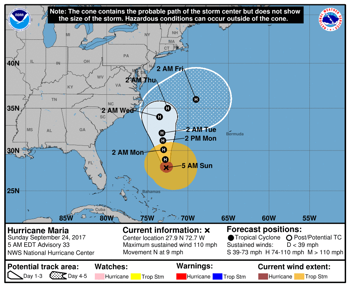 The National Hurricane Center says interests on the Carolina and Mid-Atlantic coasts should monitor the storm's progress. 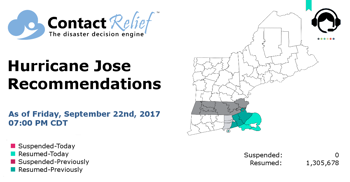 ContactRelief recommends resuming contact with all area of Massachusetts and Rhode Island previously affected by Hurricane Jose. 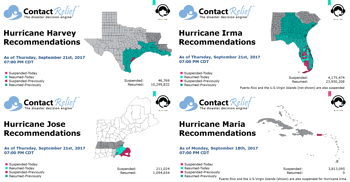 ContactRelief recommends resuming contact with additional Florida, Massachusetts, and Rhode Island counties (except for specified zip codes). ContactRelief recommends resuming contact with additional Florida counties except for specified zip codes. 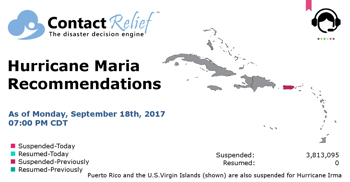 ContactRelief recommends suspended contact with Puerto Rico and the U.S. Virgin Islands. It's definitely peak hurricane season! We're in the height of hurricane season as ContactRelief Meteorologist Dr. Kevin Levey examines Hurricane Maria, Jose, and Tropical Depression Lee.